Vintners in the Paso Robles, San Luis Obispo, and Monterey wine making regions have been using barn owls for rodent control for decades. Take a drive anywhere around wine country and you will see numerous boxes installed on poles and posts for attracting these large, voracious rodent predators. Over time, some of these boxes were inadvertently installed in the vicinity of power lines since so many vineyards border roads and rights of way. This has caused problems for both barn owls and the utility company. When located too near the lines, chances are greater that barn owl mortalities can occur from the high voltage. Owls have even been known to attempt to nest inside transformers. In both cases, expensive and time consuming power outages can result. In a joint effort that benefits the growers, the owls, and the utility company, PG&E and the Vineyard Team of the central coast of California have been collaborating for the past three years in efforts to relocate nest boxes a safer distance from these hazards. The Owl Safety Program provides nest boxes free of charge to members of the Vineyard Team and provides growers with practical information from owl researchers on where to locate nest boxes, and proven methods for attracting and maintaining barn owls. “We’re trying to educate customers and get the word out that utility poles are not the appropriate place to install nest boxes.” said Mike Best, PG&E’s Avian Protection Plan Program Manager. This year, a $10,000 charitable grant from Pacific Gas and Electric Company will help grape growers in the Central Coast maintain sustainable pest control and also keep birds safe around power lines. The Barn Owl Box Company will be supplying its specially designed, molded plastic barn owl boxes to the project this year. Barn owls, at 12 to 14 inches high, need large cavities to nest in. Since these can be scarce, owls bent on raising young have been known to nest in feed hoppers, deer blinds, old barrels left on the ground, crevices in lava beds, holes in riverbanks, dead palm fronds, cisterns, and even a hundred feet deep in abandoned mines. 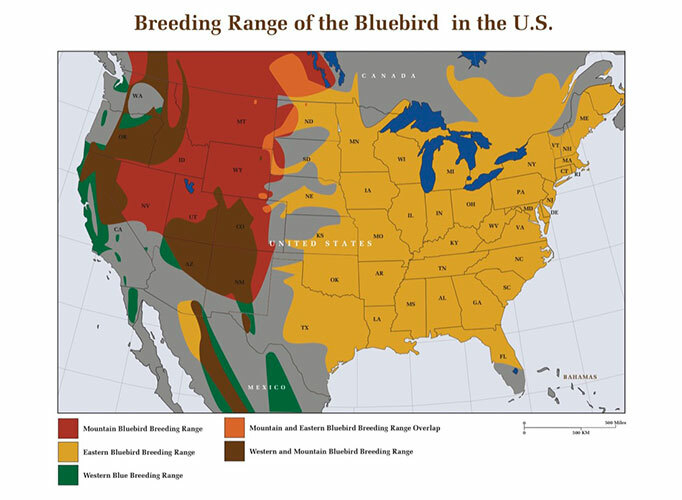 Some of these locations may not result in successful nesting, so the installation of nest boxes is an excellent conservation move and provides an efficient rodent control method for vintners. 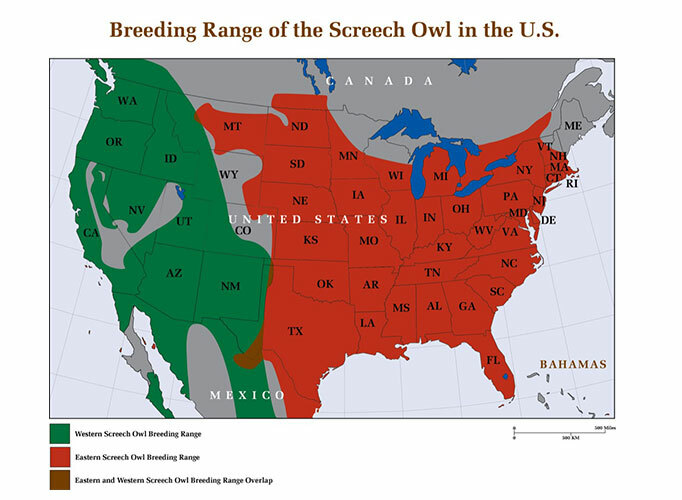 Mark Browning, founder of the Barn Owl Box Company and long-time barn owl researcher, will address the Vineyard Team members at Scheid Vineyards in Greenfield, California on February 18th. His presentation will detail his research on how barn owls can significantly reduce rodent populations on vineyards. The Owl Safety Program is now in its third year. Anne Jackson, Senior Environmental Program Manager with PG&E’s Environmental Policy Department, says that the program has been so successful that they are looking to expand its reach to benefit more customers. “It’s a great opportunity to educate growers about the use and proper placement of owl boxes as a sustainable farming practice. The program is receiving a lot of positive feedback and growers from all over are contacting us with interest in expanding it to their community,” said Anne Jackson. “This program is a great example of how our community partnerships and investments can help address the needs of our customers while also supporting our business objectives.” added Diane Ross-Leech, Environmental Policy Director for PG&E. For more information, visit PG&E’s habitat conservation and land stewardship programs page. viticulture practices on the Central Coast of California since 1994. Visit the Vineyard Team Website. Read our Featured Article “Barn Owls in the Vineyards” by Christopher Sawyer of Vineyards & Winery Management Magazine. Sixteen barn owls that were bred in captivity will be carrying some baggage when they are released into the wild tomorrow. For the first time, transmitter harnesses will be put on the birds so that satellites can track them. “That gives us a really good chance to find out where they’re going,” said Mark Browning, animal trainer and head of the barn owl release project at the Pittsburgh Zoo and PPG Aquarium. Eight of the 11 birds that the zoo will release in Fox Chapel tomorrow will carry trackers. The Moraine Preservation Fund will put devices on another eight birds that will be released from Moraine State Park. The project is part of an effort to re-establish barn owl populations in Western Pennsylvania. 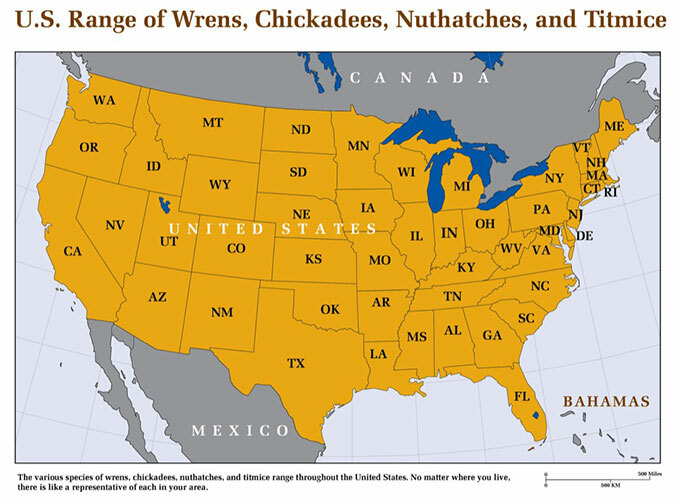 Partly because they’re nocturnal, it’s hard to tell how many of them are in the region. According to director Heather Cuyler Jerry, the preservation fund has released about 250 birds in the last seven years, but doesn’t have much information about how they’ve fared since they were released from captivity. Data from the satellite telemetry project, which was partly funded by a grant from the Pittsburgh Foundation, could help shape the barn owl program in coming years by revealing favored nesting areas, she said. 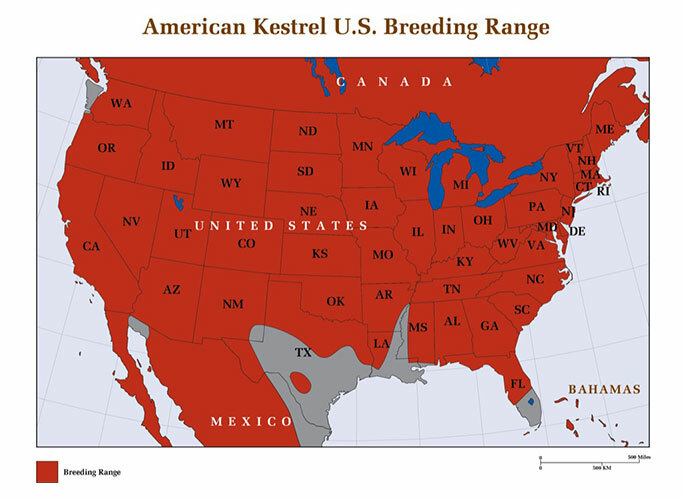 The trackers “will transmit for about nine months and give us an opportunity to see what kind of territory they [barn owls] reject and what kind of territory they accept,” Browning said. Dan Brauning, wildlife diversity supervisor for the state game commission, was excited to hear about the project. Browning said the harness is an intricate sling of Teflon ribbons that, like a parachute harness, wraps around above and below the bird’s wing and meets at the back. A fine antenna curves behind the bird, where it should not hinder normal activities. When it was first put on, the equipment was easy to spot. The transmitter is about 2.5 inches long and weighs a little more than half an ounce. He is working with Frank Ammer, a DNA specialist at Frostburg State University in Maryland to collect blood samples from owls that are about to be released. So, “if we eventually go out there and find a nest of baby birds and take blood from one of them, we may be able to tell if it’s related to one of ours,” Browning said. 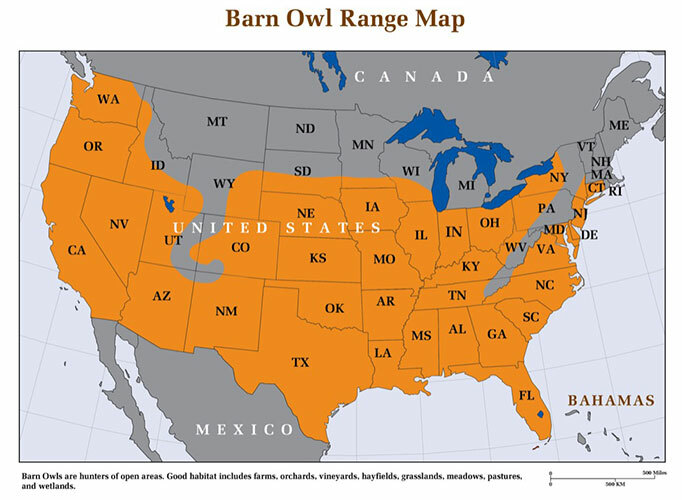 Barn owls were probably a rare bird when pioneers first came to a heavily forested Pennsylvania. The numbers likely increased dramatically because people “cleared the fields where barn owls like to hunt, they probably created higher populations of rodents and they built beautiful wooden barns where barn owls could nest easily,” Browning said. But the few barns that are built now tend to be metal prefab buildings that owls can’t call home, and the population has dwindled. Conservationists like Browning would like to see the population grow and, to help boost it, they have not only bred baby owls for release into the wild, but also provided them with nest boxes to live in. A good nest box, Browning explained, is about 30 inches long, more than a foot high and about 2 feet deep. That should be enough room for the parents and a clutch of about a half-dozen babies. Barn owls can be nearly 2 feet tall. The zoo has three breeding pairs. One is kept at the Highland Park facility, in a newly built exhibit near the Kid’s Kingdom. Another pair is housed by the National Aviary on the North Side. A third duo and their seven young, about 90 days old, are kept at a specially built flight on a large private property in Fox Chapel. Four other young owls that were born last fall will also be released from the site. The open-air cage is partitioned so that when it’s time to let the youngsters go, their breeding pair can still be confined. Boxes for nesting and roosting look the same as those being distributed in the wild to help the owls recognize them as a safe haven. Since their births, the young owls have been fed frozen mice that have been thawed. But in the days before their release, they must hone their flying, swooping and hunting skills to catch live mice that will be placed in their cage. 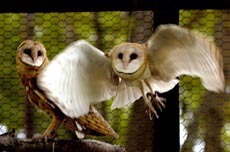 Barn owls have a facial disc that is concave and their ears are assymetrical, making their hearing acute enough to pick up mice pitter-pattering across the ground, Browning said. When the young owls are better hunters, the cage will be left open so they can leave as they wish. 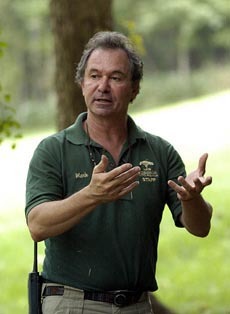 Mark Browning, animal trainer and head of the barn owl release project at the Pittsburgh Zoo and PPG Aquarium.